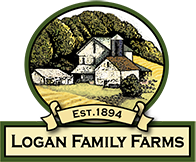 Individual Beef Retail Cuts – Logan Family Farms, LLC. One pound packages of >85% lean. Twice ground from whole muscle meats dedicated from one animal. No co mingling of trim from different animals. 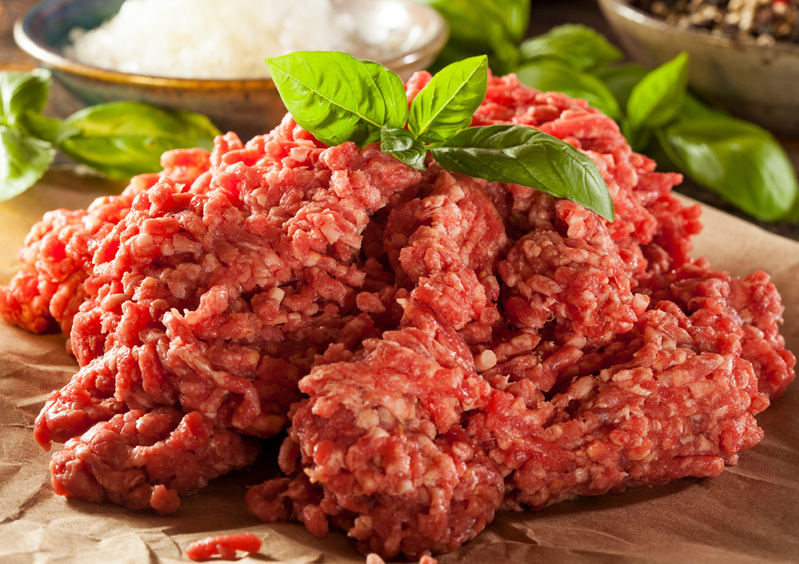 Enjoy our 1/3 pound burgers for a fast dinner or on the grill. 4 per package which are easily separated for preparation. The burgers are not compressed but are formed as a ribbon and then cut into the individual burgers. Enjoy our 1/2 pound burgers for a fast dinner or on the grill. 4 per package which are easily separated for preparation. These are great prepared as Salisbury Steaks too! A whole muscle roast from the shoulder. This single muscle cut is best braised. 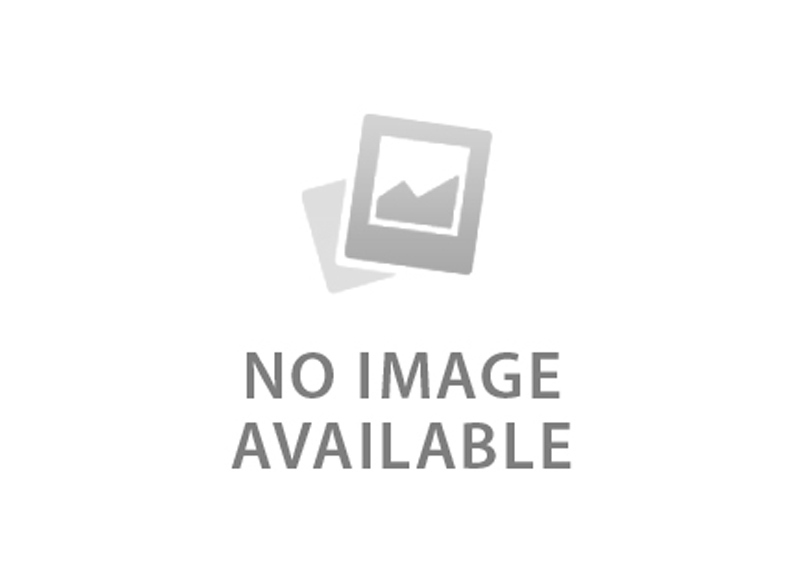 It is an economical alternative to tender loin and feeds a crowd of beef eaters. It ranges from 1 1/2 to 2 pounds in size. No waste all great meat. The pot roast is about 2-3 pounds in size. 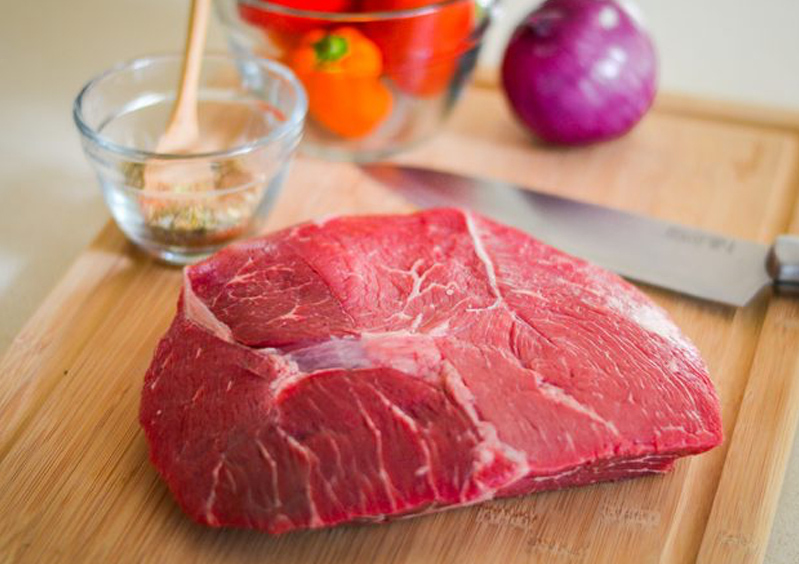 This cut is a traditional standby for slow cooking and provides a beefy flavor like no other. A new cut from the shoulder that resembles ribs by their cut. They are boneless and packaged 4-5 per package to the weight of about a pound. Braise with your favorite sauce. This is a great, under-appreciated cut that weighs about 5-8 pounds. 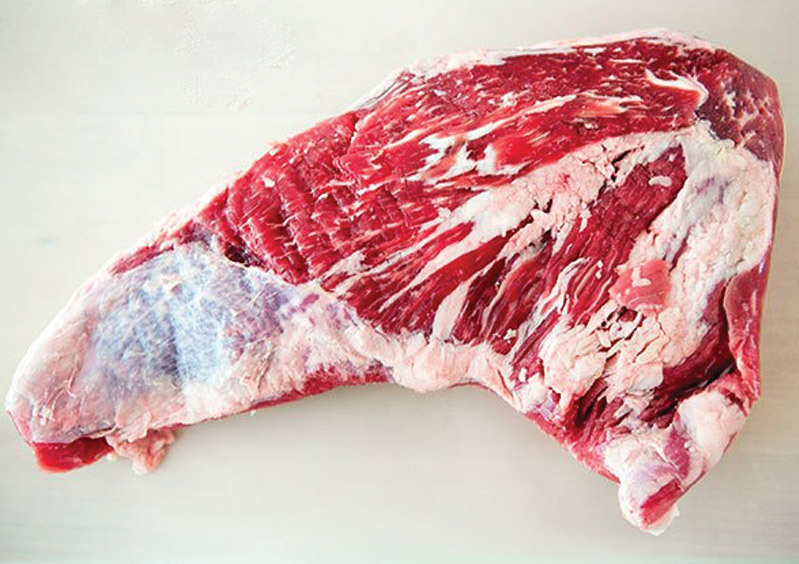 The full cut has the deckling on, an additional muscle that appears as a flap on the top of the brisket. Brisket preparation is a lengthy, slow cooking process but so worth the wait. This is the brisket with the deckling removed. 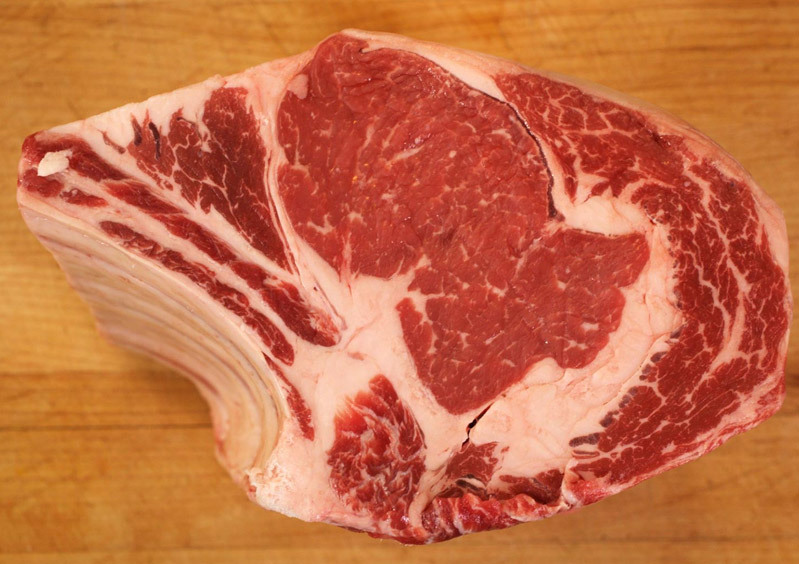 It is considered one of the 29 lean cuts of beef in the entire animal. It weighs from 3-5 pounds and once cooked is easily sliced and served. 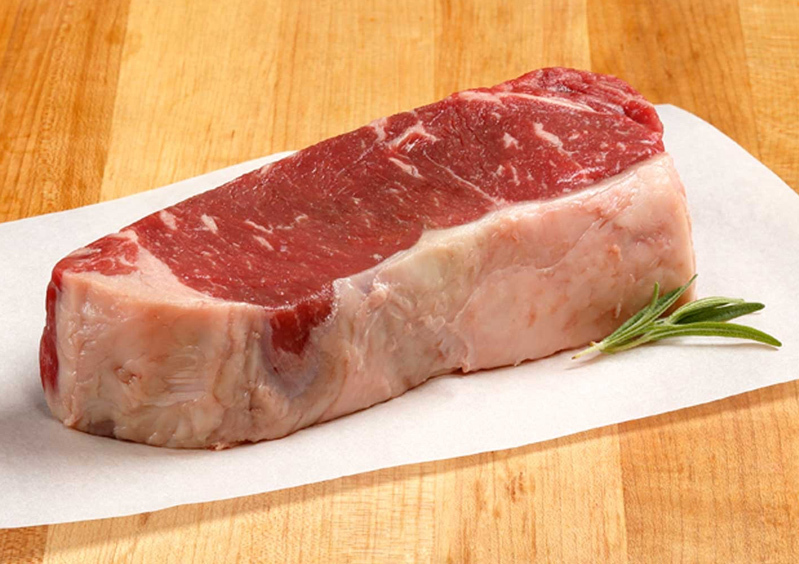 This is a new roast cut from the sirloin that has been popularized by chefs on the West Coast. It can be either grilled with a rub or moist cooked as a roast in the oven. It is lean yet tender for the health conscious beef eater. Traditional roast cut from the bottom of the sirloin weighing 2-4 pounds in size. 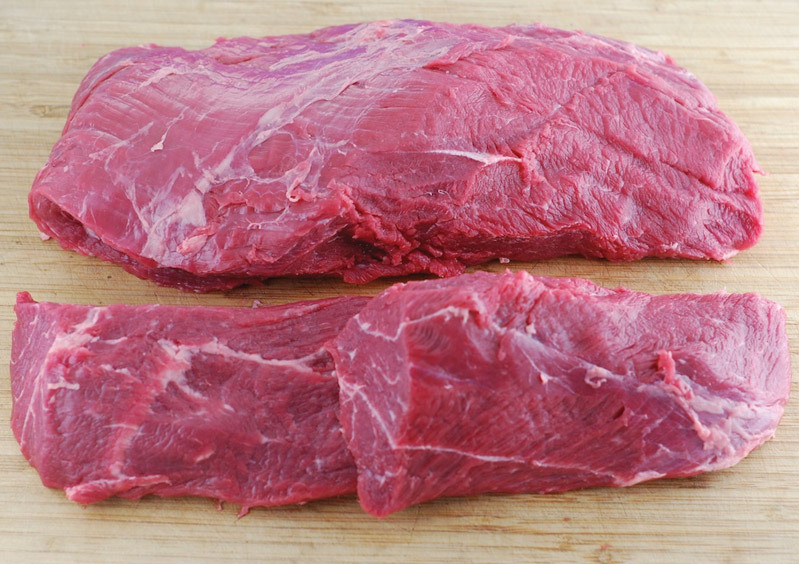 This is considered one of the 24 lean cuts of beef as compared to a serving of chicken. Best prepared by roasting or braising. 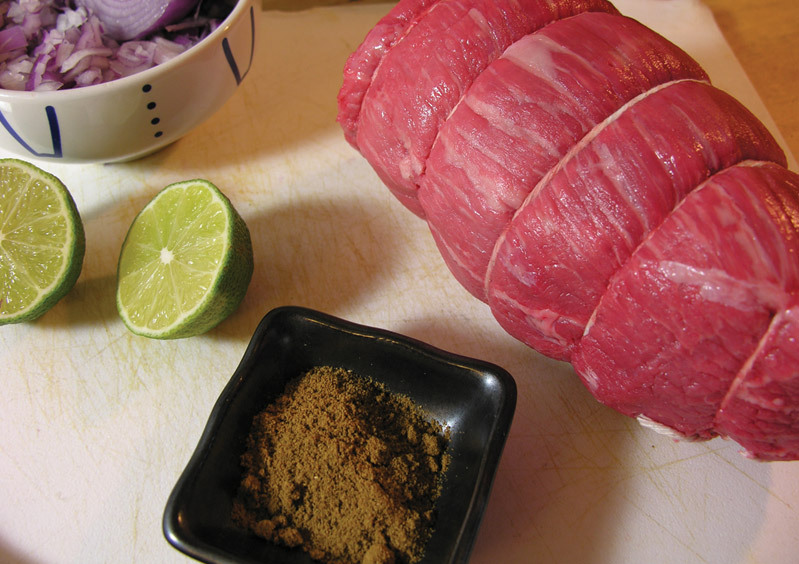 This roast weighs 2-3 pounds and is a lean cut that economically serves a family with the dry age beef taste that everyone loves. Moist cooking is preferable. This is the roast that memories are made of. Celebrate with your family or friends with this roast. It melts in your mouth and leaves a great-tasting beef experience. The roast is the whole tenderloin muscle and usually weighs about 3-5 pounds. A holiday favorite, this roast is the most flavorful roast in the animal. 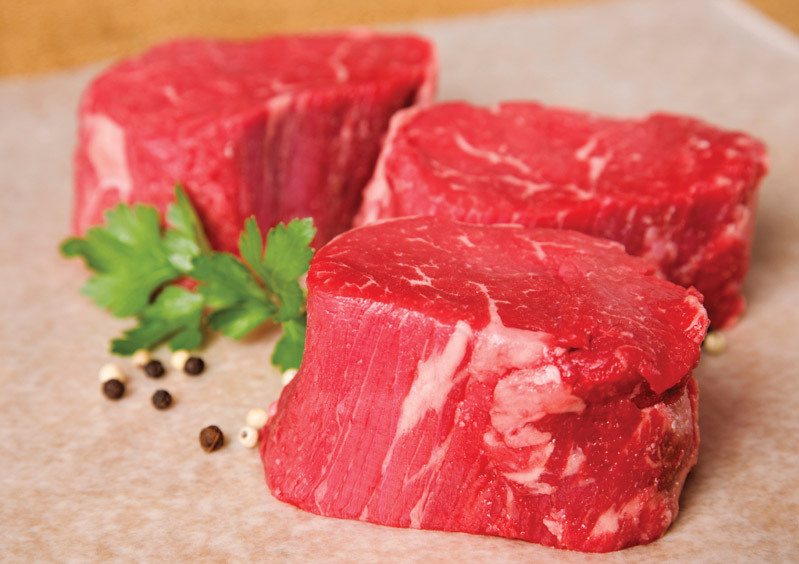 It’s flavor outshines any other cut of beef and makes a beautfiul presentation on the table. Depending on how many people, it can be from 5-15 pounds in size. This steak is cut from the rib section of the animal and is one of the best tasting steaks—some would say the best tasting! The steak will be cut about an inch thick but will not be tied as pictured. 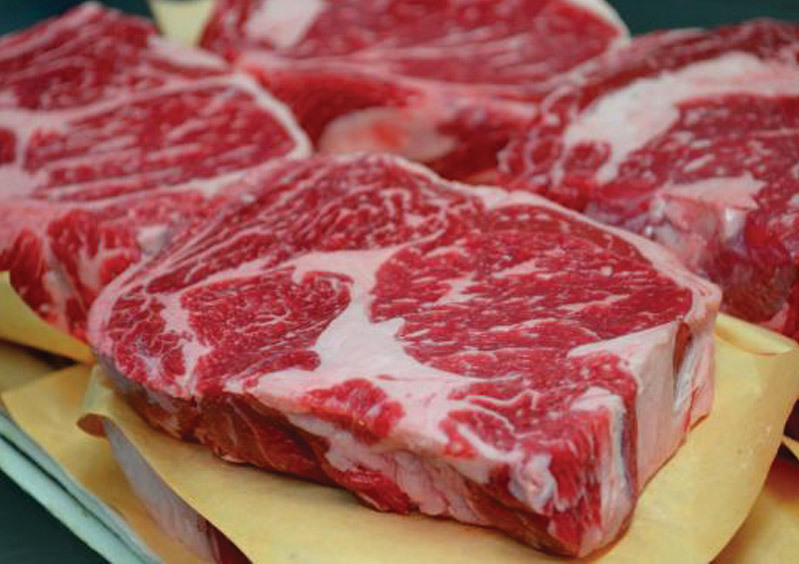 Cut about an inch thick, it carries more internal marbling than other steaks—so much that the marbling bastes the meat as it cooks. 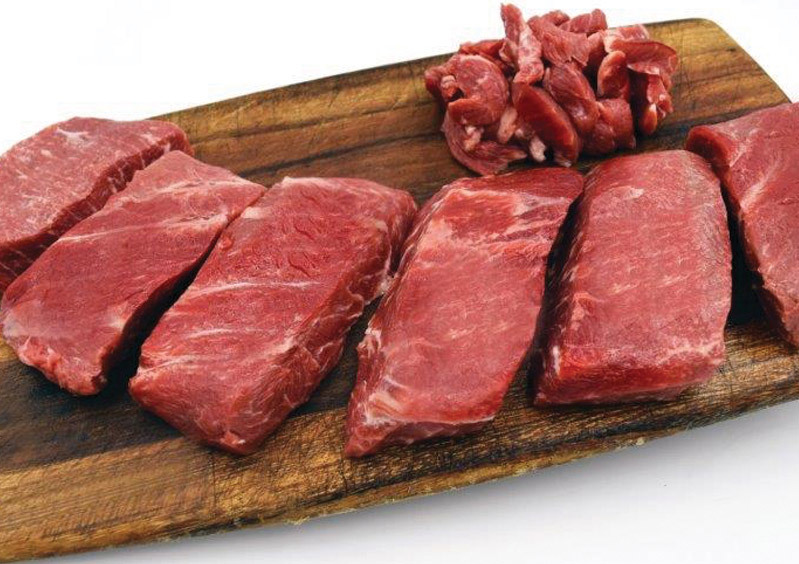 One of the cuts that offers the best beef eating experience. 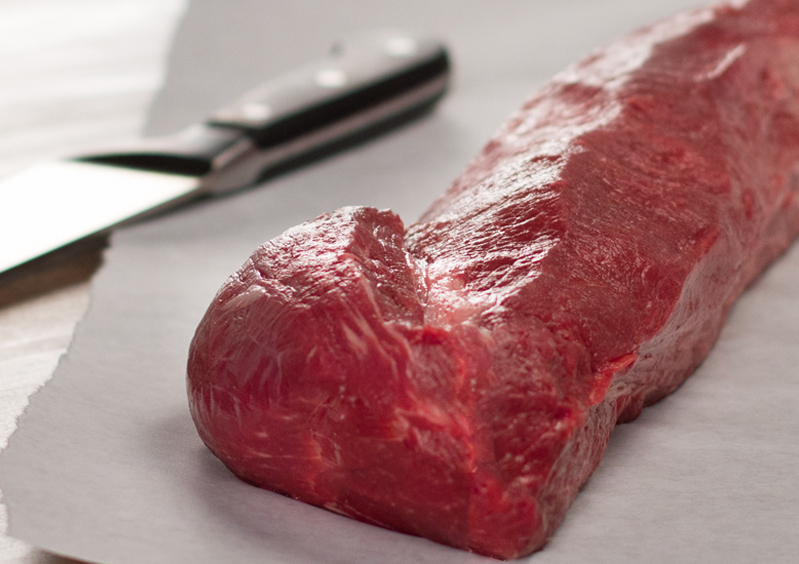 This steak is a high-end steak cut from the top loin of the animal. 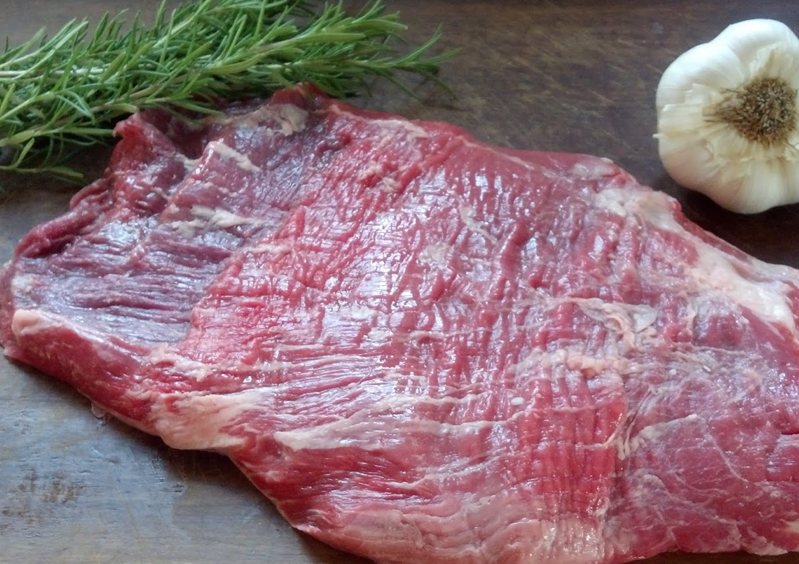 It is traditionally one of the most tender steaks in the animal. It eats well no matter whether you eat your beef rare or well done. 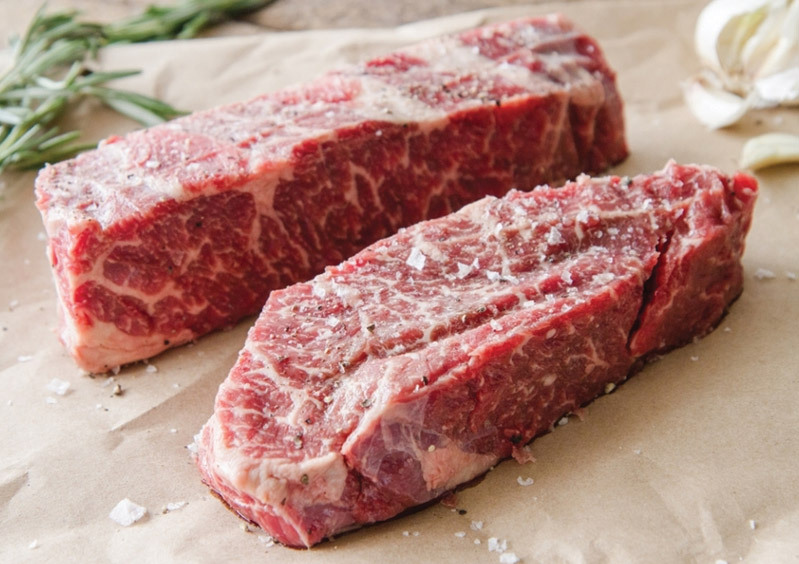 This steak is usually a little firmer and carries less fat than the other center cut steaks yet still tender to eat! This is THE beef cut. 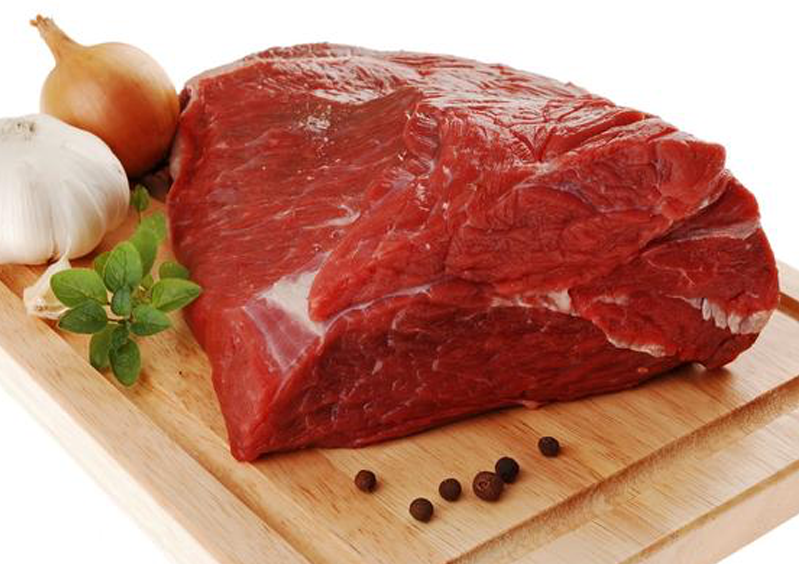 It exemplifies all the goodness of beef’s tenderness and flavor. 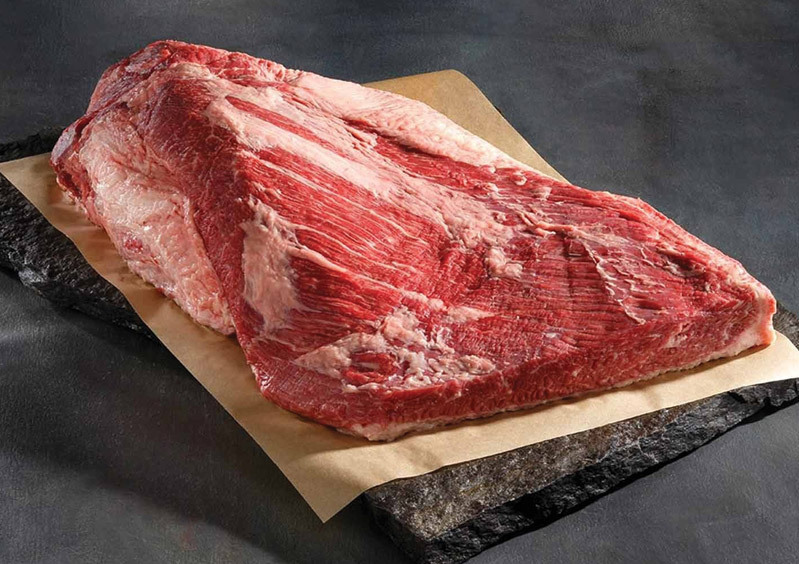 This steaks is cut from the tenderloin muscle and the LFF production and dry aging make it the BEST! 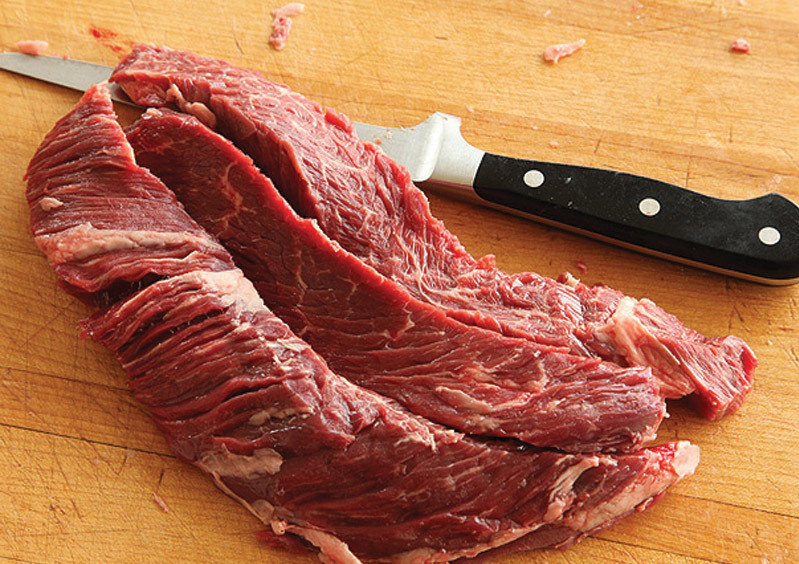 This steak is a tender cut from the center of the sirloin. It is lean and flavorful. It is great grilled or braised. 1-2 per package cut 1-1 ½ inches thick. 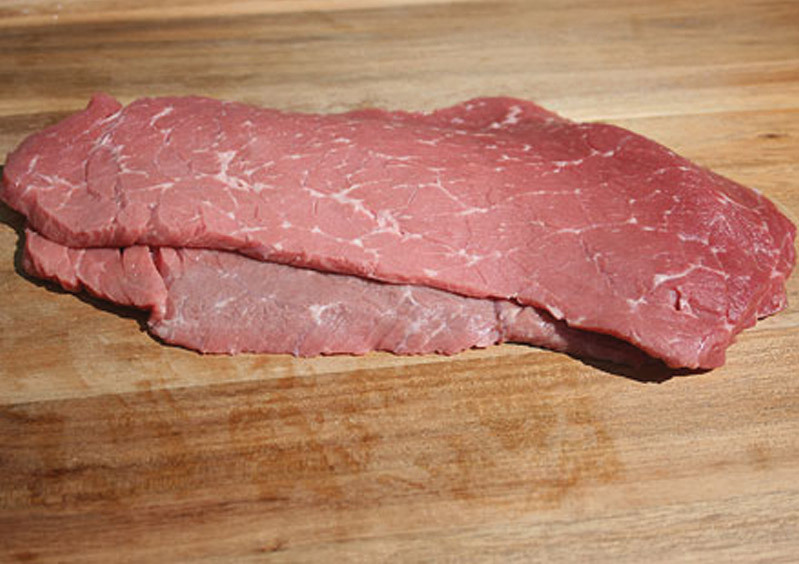 This cut is recognized to be a great marinating piece of meat that offers quick grilling and tasty thin slices of meat. 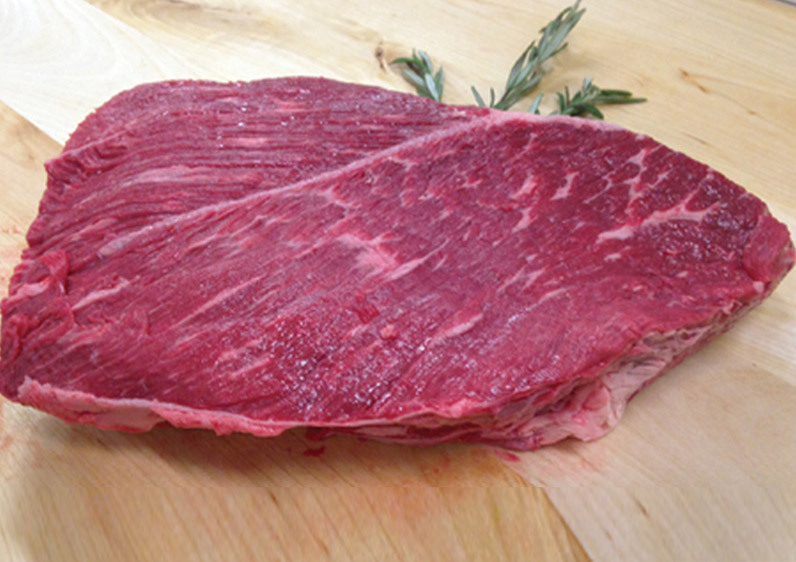 The flank weighs about a pound in size and is a favorite cut for many. This is an elongate muscle meat that is truly under-appreciated. It is a great piece of meat for a quick grill with some spices. It is best known for its use in Latin American cuisine. The size varies with one per package. This is a great convenience item for the working family. The fajita strips are cut from the top round of the animal with about a pound in each package. This is a new cut from the top shoulder, which, according to research, is the second most tender muscle in the animal. It offers a beefy flavor and is great pan-fried, broiled, or grilled. There are only four of these per side of beef. This is also a new cut of steak from the under shoulder blade. 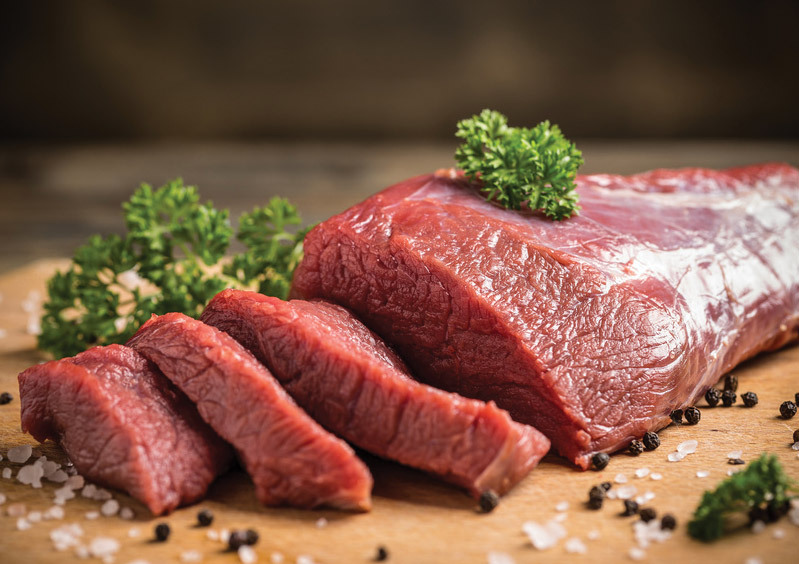 It is said to be the fourth most tender muscle in the animal and offers great beef flavor similar to that of a pot roast. It can be grilled, broiled, or pan-fried. 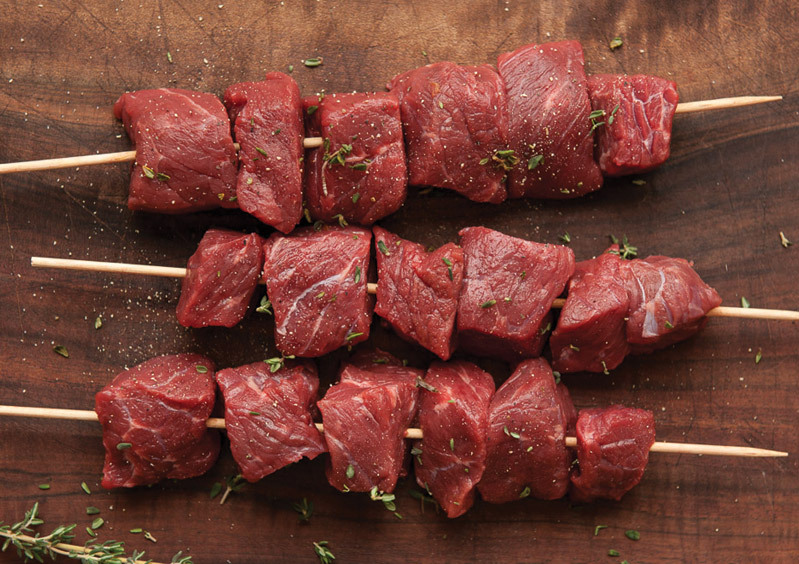 Time saving beef kabobs are cut from the sirloin tip. 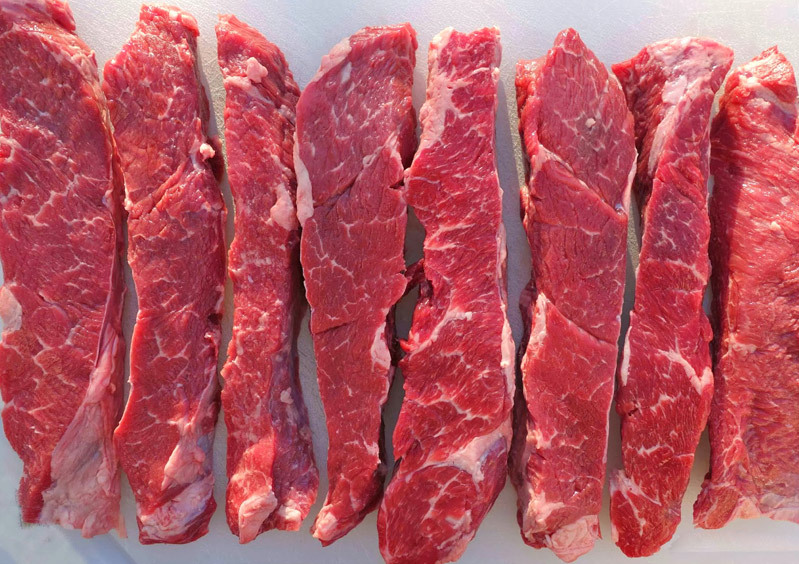 Use them on the grill, for braising, or in your favorite recipe of Beef Burgundy. There is about a pound in a package. 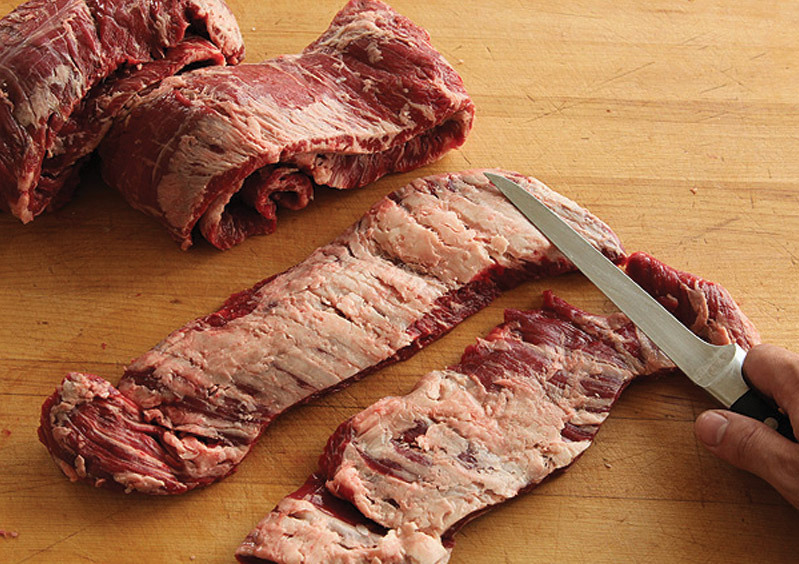 These thin cut top round steaks are flash frozen in a fanned-out style for a quick fix meal. They can easily be separated for a single serving steak sandwich or cross cut for a speedy stir fry with vegetables. There is about a pound in each package. 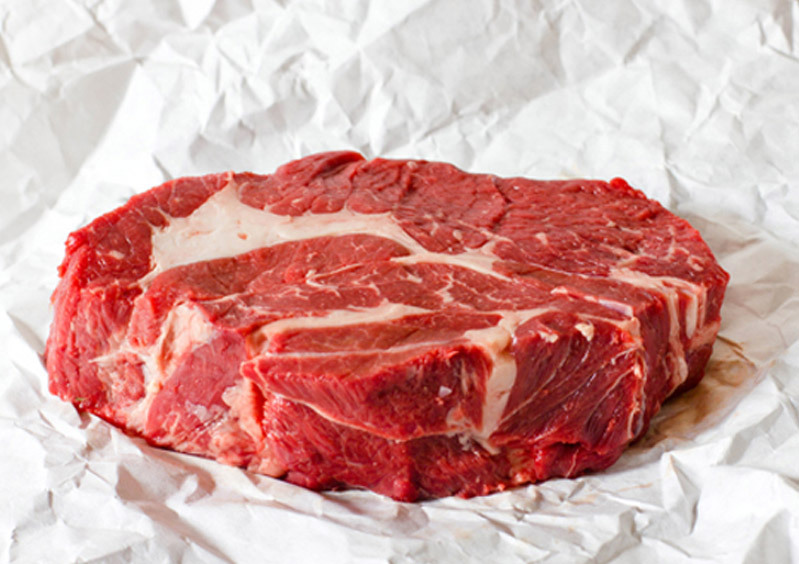 Ranch Roast is a new shoulder roast that carries great beef flavor. It is a single muscle cut and resembles a block of meat. It is very tender when braised and easily slices for a nice table presentation. It can range from eight to nine pounds if left whole or less if cut into smaller roast portions. Roasting or braising with moist heat is the best cooking method for this cut. 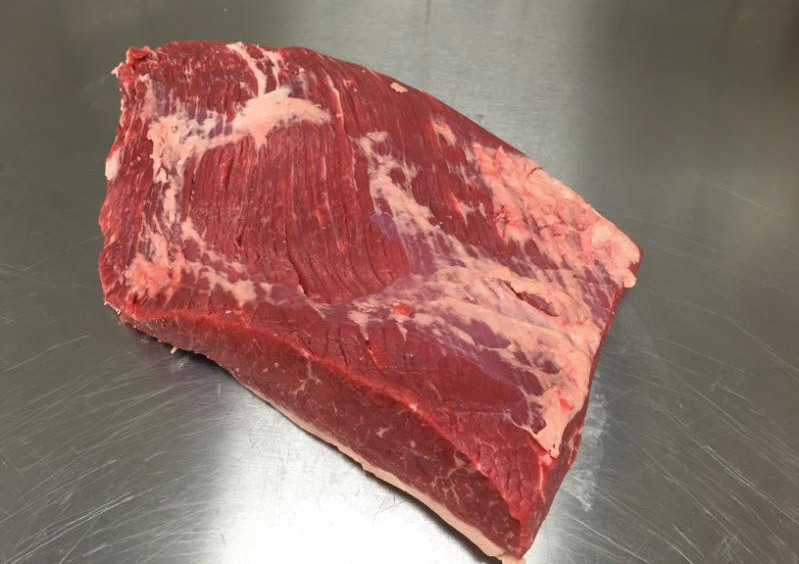 The Sierra Cut is a new cut from the inside shoulder area and resembles a flank steak but offers a bolder beef flavor than a flank. The cut is thin and elongated and weighs about one pound on average. This lean, versatile steak is best when marinated before grilling, pan frying or broiling and should be sliced thin against the grain.